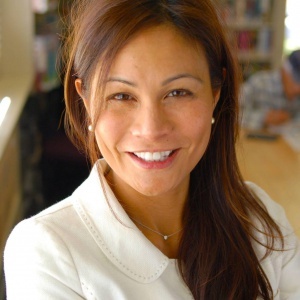 Cynthia Napoli-Abella Reiss is a community college faculty member with 20 years of teaching experience, who is involved in statewide California Community College Academic Senate committees. She has a clear vision and is knowledgeable about student needs, the California community colleges, their mission, and how they can be run effectively. Her commitment is to pay close attention to the budget, and how public funds are used, vowing to holding the District accountable for spending decisions and insisting that all spending contributes to the mission of the Peralta community College district – to serve the community. Cynthia vows to hold the chancellor accountable to consult and collaborate with the established shared governance bodies in the colleges (consistent with state law and education codes,) such as academic senates and committees of faculty, staff and students. She is interested in developing a channel for community-shared governance/input as well. She is opposed to selling Peralta land to private corporations, like the Oakland A’s. She strongly believes that Peralta land should be used for students and the community, not private profit. As a member of the Accreditation Commission for Community and Junior Colleges, the accreditation commission for CA community colleges, she can use her knowledge of best practices and of ACCJC Standards related to student learning, integrated planning, budgeting, facilities, board governance and shared governance in her role as board member. This knowledge will help inform the way the Colleges operate so that accreditation becomes yet another process that helps the District become an effective, fiscally responsible educational institution that our communities so critically need. She plans to listen to and involve faculty, students, staff and community members in the decision making process.